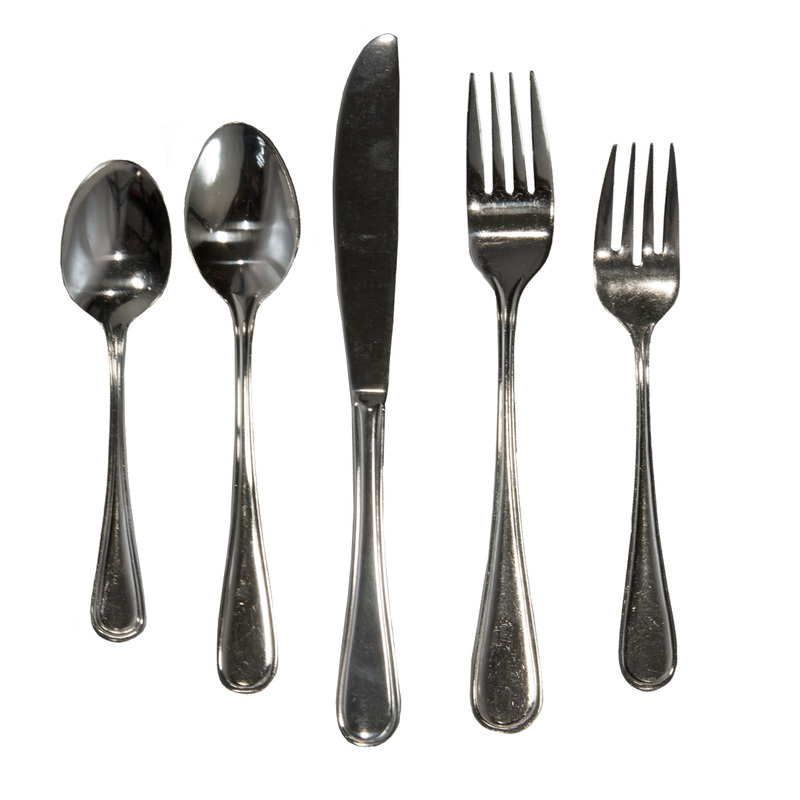 Stainless flatware with simple edge detail on handles. 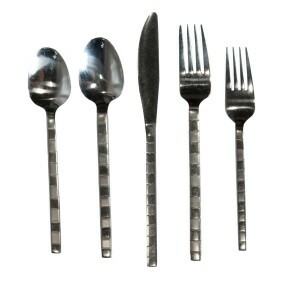 Size: Salad Fork, Dinner Fork, Knife, Teaspoon or Soup Spoon. 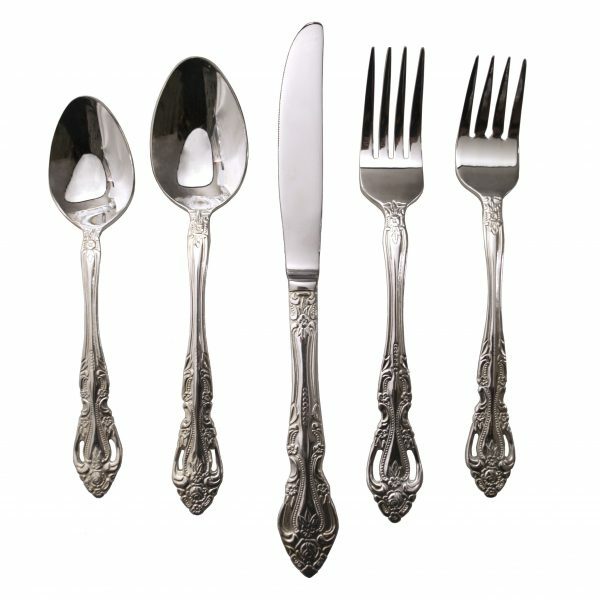 Stainless flatware with classic detail on handles. 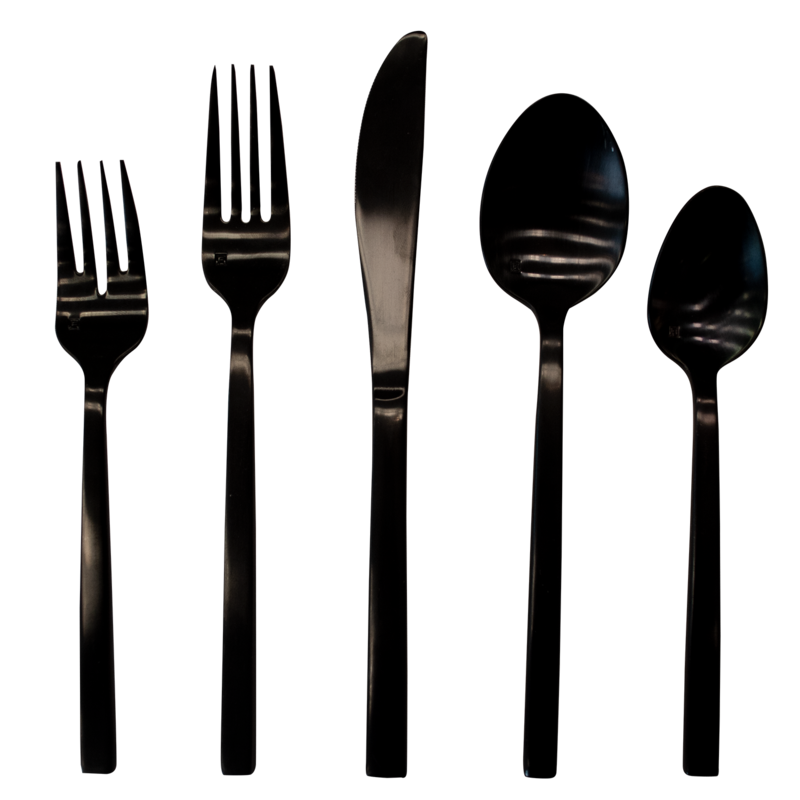 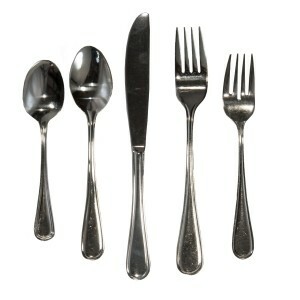 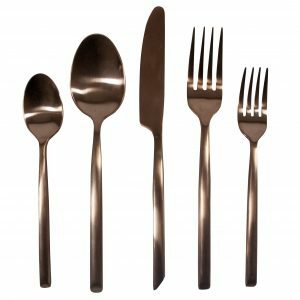 Stainless flatware with contemporary squared handles. 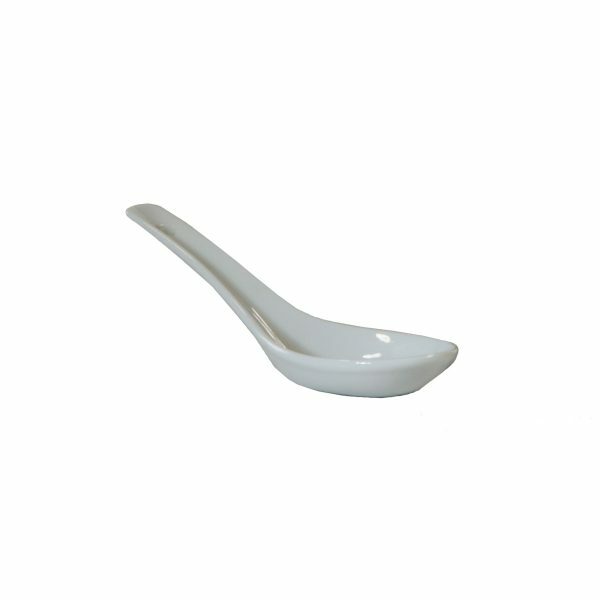 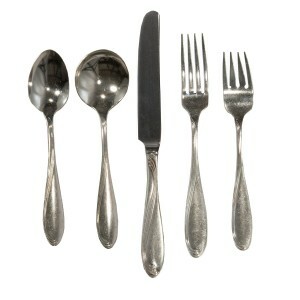 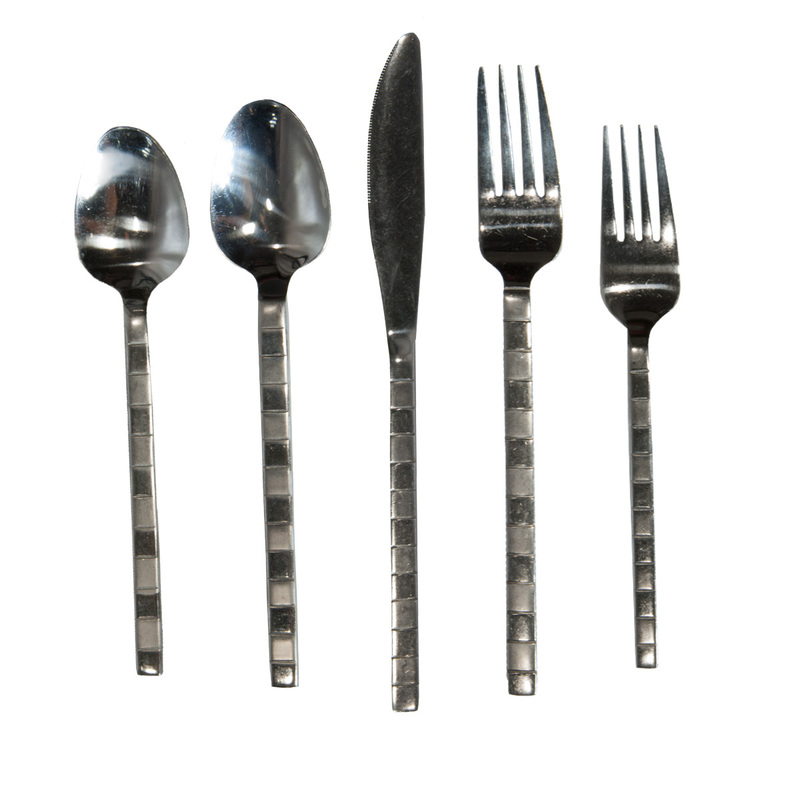 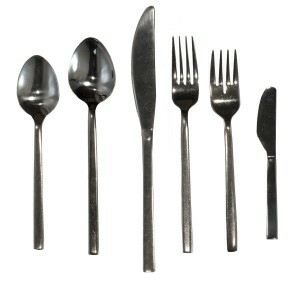 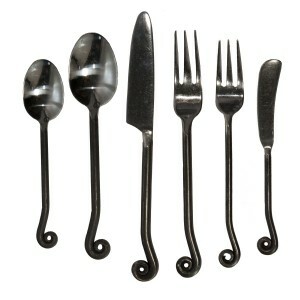 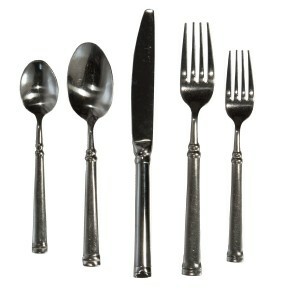 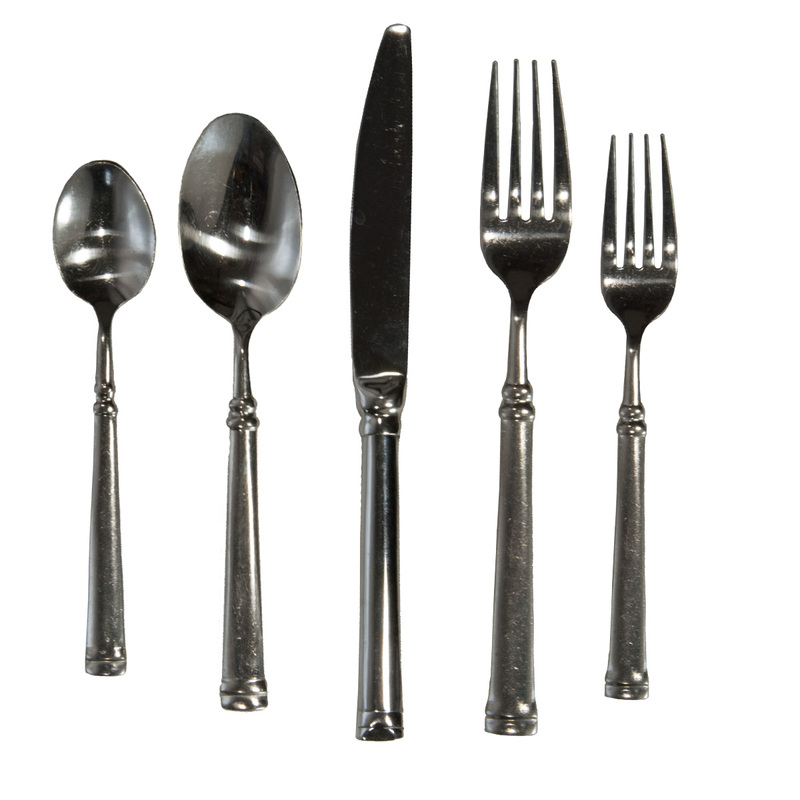 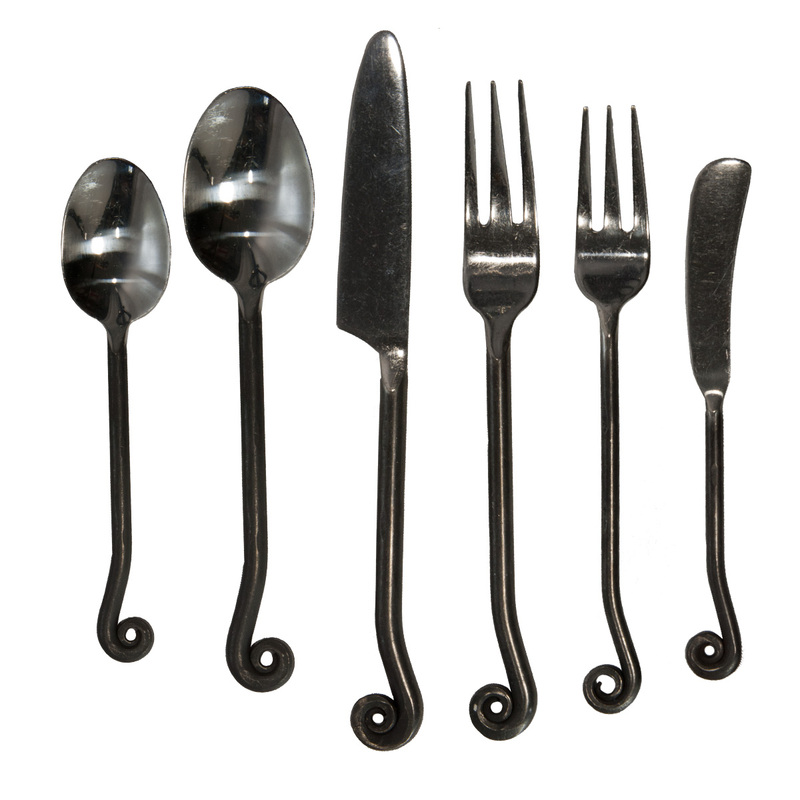 Size: Salad Fork, Dinner Fork, Knife, Teaspoon, Soup Spoon or Butter Spreader. 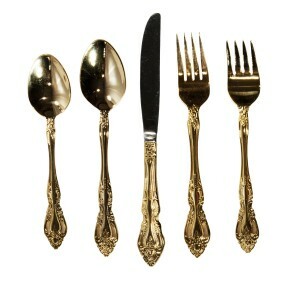 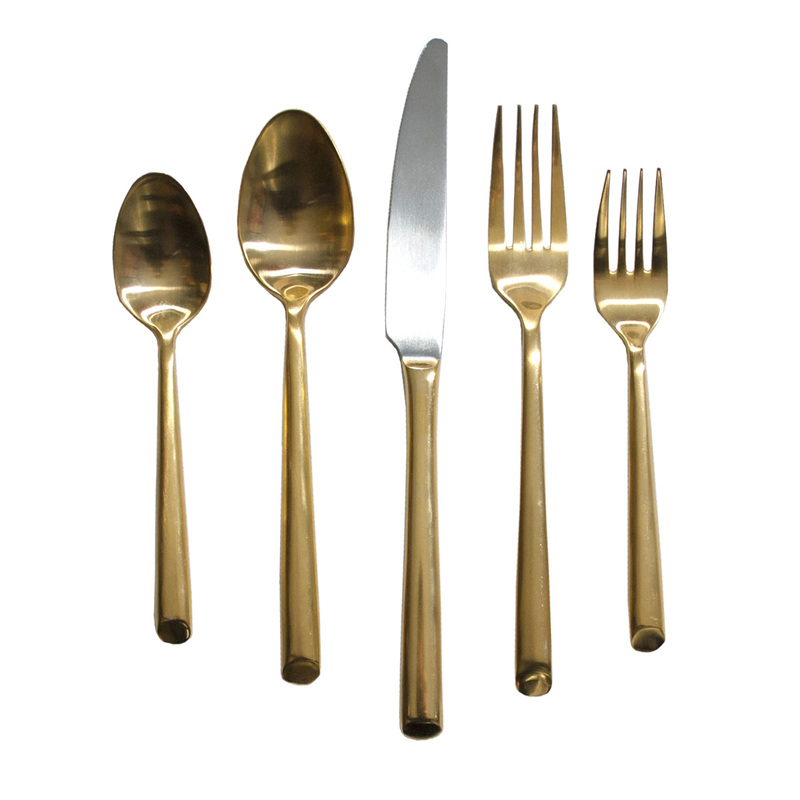 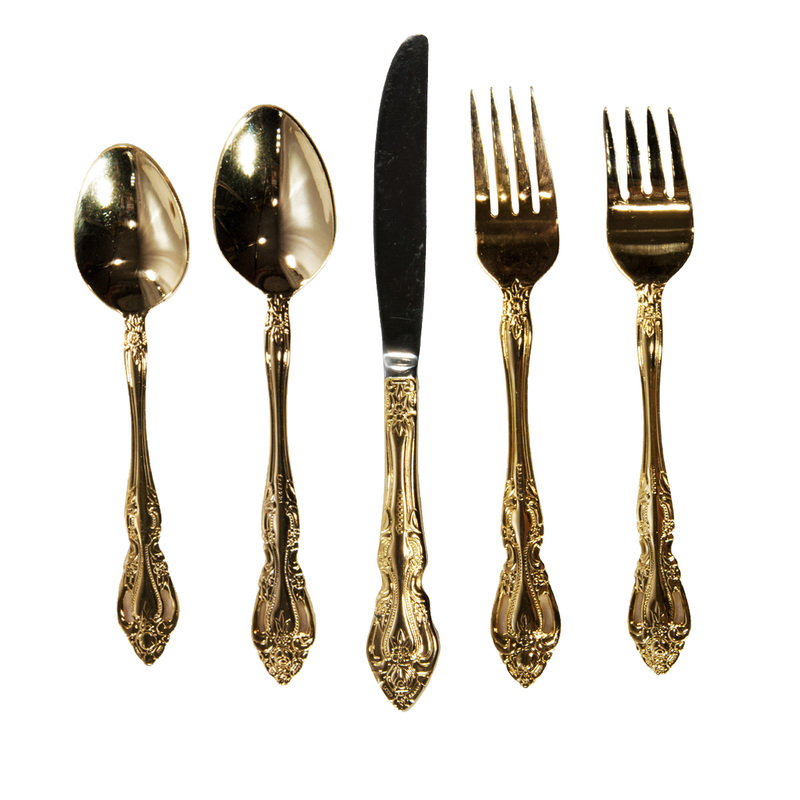 Gold flatware with ornate design. Silver plated flatware with a delicate scroll pattern. 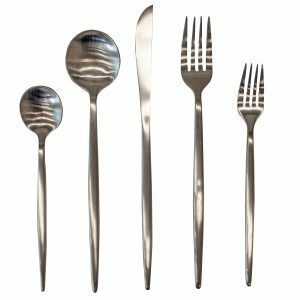 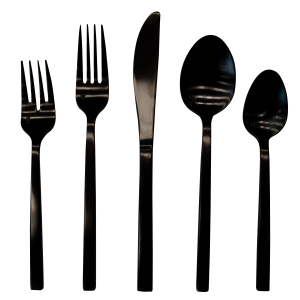 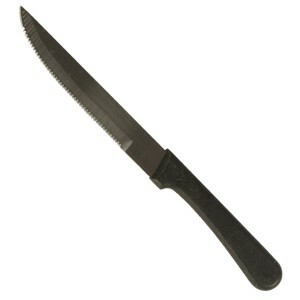 Stainless flatware with contemporary squared handles featuring a brushed checkered pattern.